Saturn Zen™ complements any modern or architectural interior, to create a beautiful balance throughout your home. With LED push-buttons, clean lines and finger-print resistant matte finishes, Saturn Zen embraces the beauty of simplicity. And with unique optional features like a Smart Shelf for charging electronic devices, Saturn Zen is designed to make your life easier. 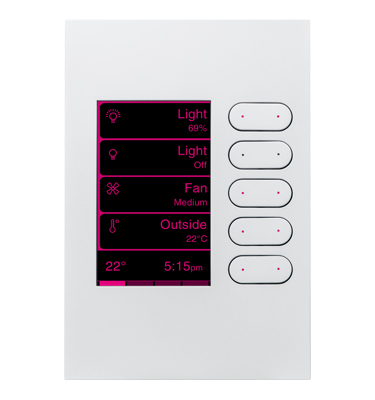 Saturn Zen combines form, function and affordability to create a complete switch solution for your home. 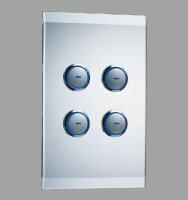 A Saturn Zen eDLT (enhanced dynamic labelling technology) switch plate is also available.